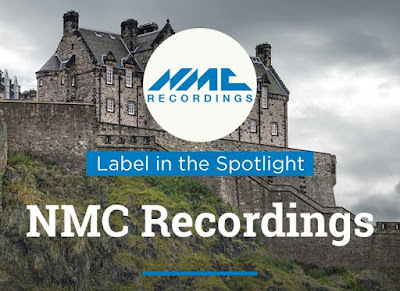 NMC Recordings is a record label and registered charity, established in 1989 to record and promote the best in British contemporary classical music. It releases around ten titles per year – divided between the main, full-price label, and Ancora, the mid-price label dedicated to reissuing important recordings previously released on other labels. NMC operates a non-deletion policy, so its catalog stands as an archive of British contemporary music. The quality of the catalog, which now has over 170 recordings by 200 living British composers, is reflected in the numerous awards and outstanding reviews NMC has received over the years. According to NMC, they "arose almost more by chance than by design. Imogen Holst and Colin Matthews had set up the Holst Foundation in 1984 with the aim of supporting the work of living composers. A significant concert of contemporary music at the Aldeburgh Festival in 1987, funded entirely by the Foundation, attracted a full house, but was not broadcast and so was heard by only 800 people. This led Colin Matthews to propose that recordings were the ideal way to reach a larger audience. The Holst Foundation has been the major funder of NMC ever since our inception in 1989." To hear the NMC Recordings sampler, access NML, go to the Playlists section, and select the Label in the Spotlight folder under the Themed Playlists tab. You can also access it via the rotating banners. If you are on your institution's premises, you may also be able to access it if you CLICK HERE.